I asked Laurie about walking this day and she said yes! 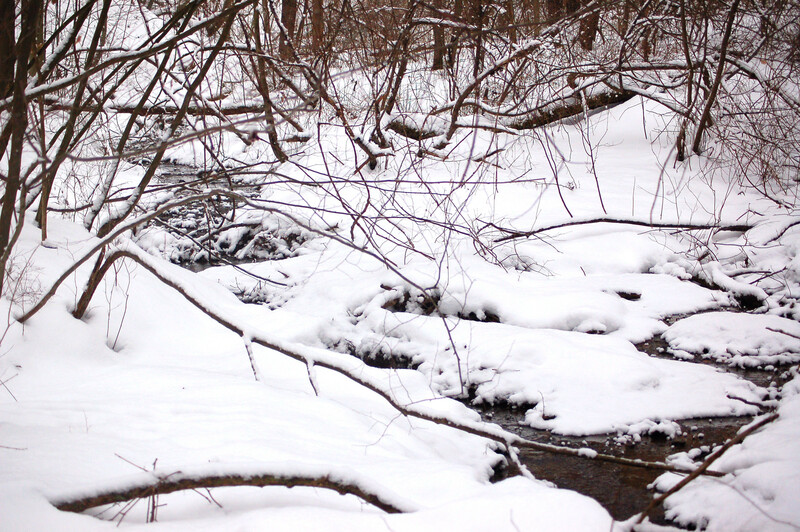 The snow had been falling and continued to fall during the Valentine hike. We chose to hike at a local state game lands. The temperatures were comfortable for walking, however, the winds were increasing as the temperatures slowly heading south to a predicted zero degree night. Wish I had three dogs! The approximate three mike venture produced lots of natural beauty. One of my favorite times to hike, or hunt, is during snow storms. I find a special type of solitude during such events. The quiet can be deafening. We saw various birdlife including a thrush. 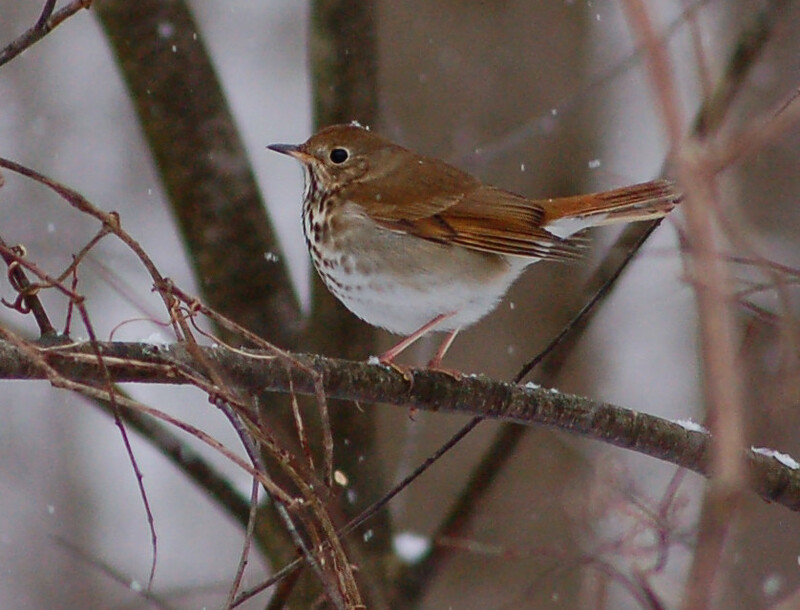 I believe the little bird may have been a Wood thrush. This bird shouldn’t be local at this time of the year. Early spring?? 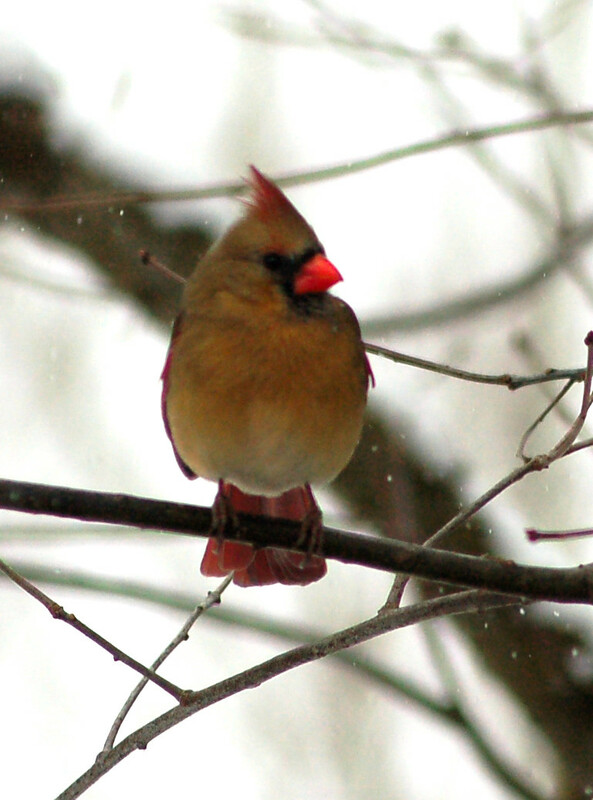 I, also, heard a male cardinal singing his early mating call today. Another sign for early spring. 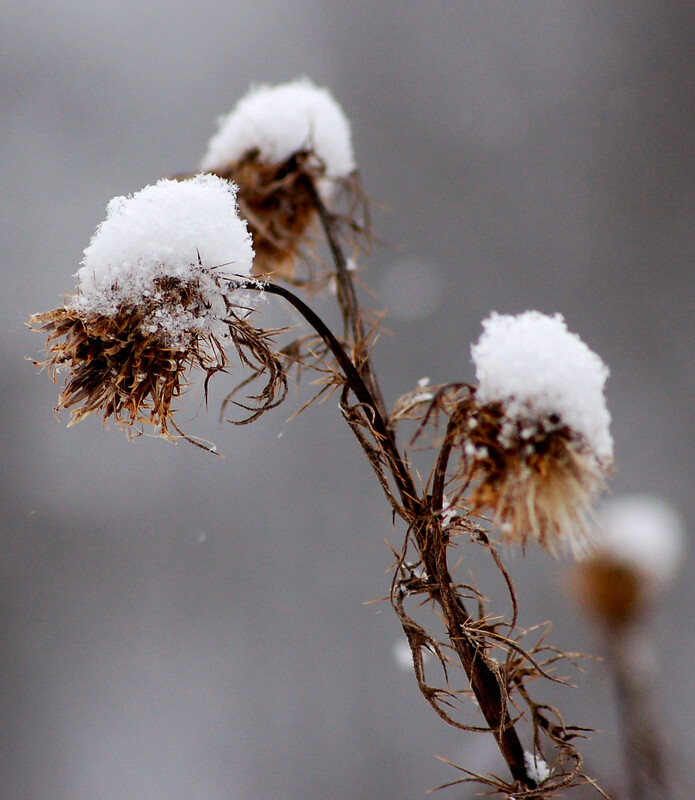 Actually this happens every year around this time, but the observant nature lover will hear it and smile knowing that before long the wildflowers will be blooming and the turkey season will be here. 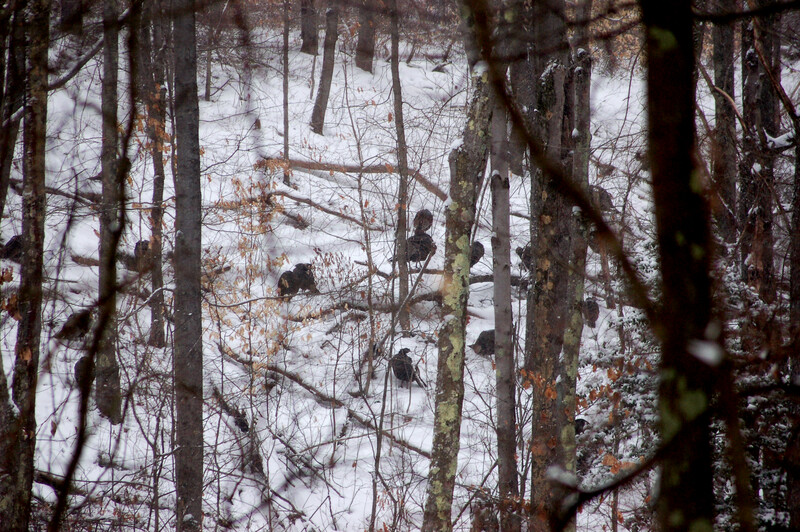 We, also, saw two deer and a flock of turkeys numbering around 22- 25 birds. They were in a stupor state and just standing around. I have witnessed this before. 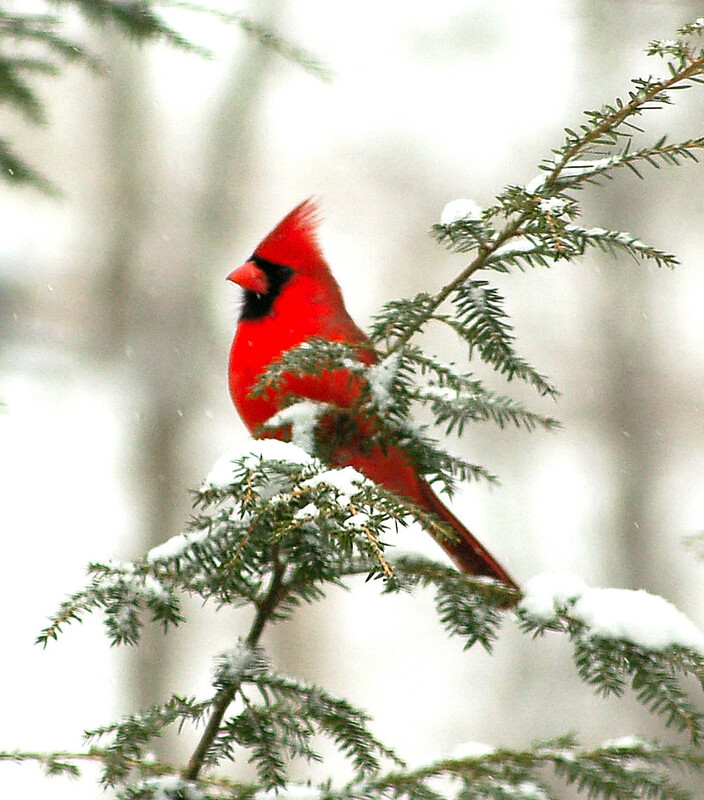 The birds feed and all of a sudden they all stop and stand around and rest.